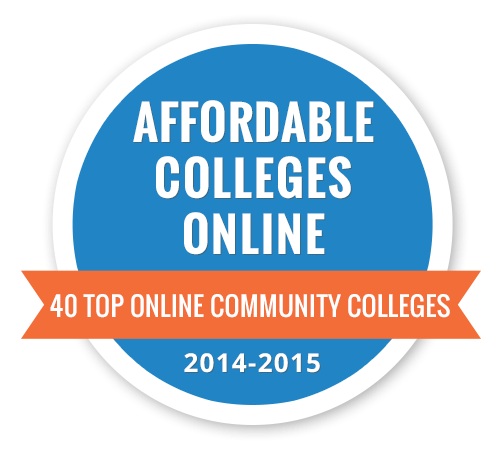 The Affordable Colleges Foundation (AFC) just added Rio Salado to its 40 Top Online Community Colleges list for 2014. The list is comprised by two-year schools offering the best online learning opportunities at the most affordable price. Rio Salado is listed as number 18. AFC, which is a leading resource for online learning and college affordability information, based its decision on data from thousands of community colleges across the country. You can see our college's ranking and related data on this ACF web page. This new analysis focuses on affordability and online learning. Each community college on the list has tuition and fees less than $3,000 per year and at least 10 full online degree programs available to students. Rio Salado is committed to making education affordable and accessible to anyone with a passion for learning. We can help you get started right now. Affordable Colleges Online has an expert-driven resource guidebook for students seeking advice and information about affordable programs from community colleges that offer flexible online learning classes. It's available free of charge online. Check it out now.